Hartford, Connecticut-based insurance provider Aetna (NYSE: AET) and Apple (NYSE: AAPL) announced the two companies have partnered on a wellness app, Attain. The app, which Aetna and Apple have been working on for three years, is expected to launch this spring and will be available to up to 300,000 subscribers initially, according to CNBC, before eventually being rolled out to all of the provider’s 22 million customers. As part of the initiative, Aetna will furnish some beneficiaries with an Apple Watch at a monthly rate. 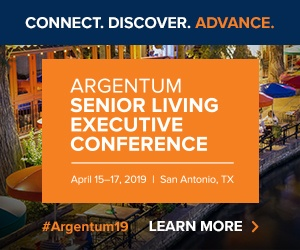 While Attain does not specifically target senior living industry, providers are exploring avenues to work more closely with Medicare Advantage (MA) insurers like Aetna, and are also increasingly interested in the role that wearables can play in maintaining resident wellness. Earlier in January, reports surfaced that Cupertino, California-based Apple was in discussions with multiple private Medicare plans about its smart watch product and its ability to support both aging in place and safeguard against certain health issues, including falls. However, at least initially, Attain will not be available to Aetna’s MA members due to regulatory issues, a spokesperson confirmed to Senior Housing News. Still, the program is evidence that large insurance companies see the potential in wearable technology to keep beneficiaries healthier over the long term and are seeking ways to widely distribute this technology. In order to participate in Attain, users must own an iPhone 5S or later, and an Apple Watch Series 1 or later. If they do not own an Apple Watch, Aetna will provide a Series 3 model at a monthly rate, similar to how phone companies subsidize the purchase of iPhones. The program holds mutual benefits for the two partners. Aetna, which completed its merger with pharmacy giant CVS (NYSE: CVS) last November, can bring millions of people to Apple and an avenue for strengthening its share of the personal wearables market. Apple, meanwhile, identified health care as an area of future growth and has a handful of health-related initiatives. Some of the Apple Watch Series 4 features include fall-detection technology that works with the help of an accelerometer and gyroscope to identify when hard falls occur, as well as a built-in electrical heart rate sensor that can take an electrocardiogram (ECG) using a new ECG app, purportedly the first-ever offered directly to consumers. Platforms like Attain allow Apple Watch to be used in enterprise settings. Other insurers, notably UnitedHealthcare (NYSE: UNH), include Apple Watch as part of their wearable device programs. What separates Attain from these is Apple’s relationship with Aetna, and the focus on personalization by the user. The program is designed to be accessible not only to users in relatively good health, but people with more serious health issues, including multiple chronic diseases. Conceivably, this aspect of the program would be critical to its success if it were rolled out to seniors on Aetna’s Medicare Advantage plans. In another recently launched program, Aetna has begun offering senior living referral services to its Medicare Advantage beneficiaries.